Detoxing is all the rage right now, especially tea detoxes, so I was excited when Newport Skinny Tea asked me to review their 21 Day Detox set! If you visit their website, you can get all the details on how the teas work simultaneously to detox your body and achieve weight loss through removing toxins naturally with healthy herbs to get your metabolism moving and burn fat faster! 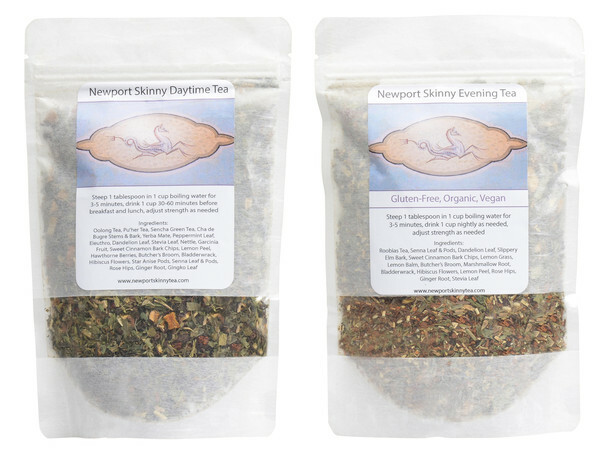 All the ingredients of the Newport Skinny Tea are pure, organic and preservative free. They deliver the benefits of fastest weight loss without going through the pain, discomfort and possible negative effects of extreme dieting that can hurt your metabolism in the long run. 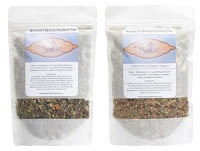 Newport Skinny Tea actually helps your body repair damaged parts of its metabolism. My skin was even brighter and clearer and my clothes fit better while on the 21 day program. Check out the testimonials page for inspiration! You will notice an immediate lift in your energy, you won't be so exhausted and cravings sugar in the afternoon either. They even include a free eating plan on their website. There are two teas included in the 21 Day Detox program. You will need to take both teas as directed for this program to work. This tea program is designed to be taken for 7, 14 or 21 days and then you need to take 7 days off. Daytime Tea - includes loose leaf tea to make 2 cups a day, drink this tea half an hour before each of your daytime meals. Evening Tea - included loose tea to make 1 cup every (or every other to start) day, drink after your evening meal. Loved the evening tea as well. This tea has a richer flavor with more detoxing ingredients which is why it's probably recommended that you drink it every other day. These teas can be made hot or cold but I preferred them hot. The evening tea really calmed me down at night and I love that it's Caffeine Free! It got my body ready for sleep which is great as sometimes I have trouble going to bed. Here is a link to all the awesome ingredient benefits of the teas. Please visit www.newportskinnytea.com to order yours or to learn more.